A pressing issue that many Westchester, CA property owners have to deal with is trying to find a reliable plumber whenever they need to. However, our team of plumbers are not only reliable during regular working hours; we provide our clients with a 24 hour call out service as well at (323) 745-2839. Don’t hesitate to contact us day or night, whether emergency or scheduled maintenance. Our plumbing technicians are all suitably experienced and qualified, ensuring that they provide you with top quality service at all times. Any property that is more than a decade old will need to have some form of plumbing maintenance performed on it, especially where water heaters and piping are concerned. Although it might seem wasteful to replace the water heater if it is still operational, there is always the chance of an older unit leaking or bursting ,which could cause damage that will cost far more to repair that the cost of a replacement heater. However, when having these units and other plumbing fixtures replaced, the work must be done by a qualified Westchester plumber. Failure to do so could render future insurance claims invalid in the event of anything going wrong. Although you may be tempted to put off having water leaks repaired, this will not be in your best interest over the long term. One ignored water leak can quickly lead to a utility bill of a few hundred dollars or worse still, you could end up having to perform structural repairs as a result of serious water damage occurring. We are one of few Westchester plumbing companies that have the correct equipment on hand to detect even the smallest slab leaks as well. While doing leak repairs at your property, our plumbers can also inspect your drains to ensure that they are clean and fully operational. Most property owners are aware that plumbing emergencies such as blocked toilets or burst pipes will usually choose the most inconvenient time to occur. As a result, we have stepped up and decided to provide our round the clock emergency call out service to our customers at fair rates. 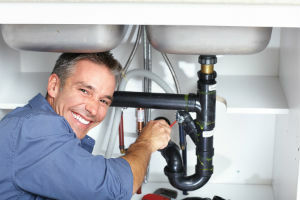 This means that you can call us at any time of the day or night to attend to your urgent or non-urgent plumbing needs. Our goal is to provide outstanding emergency plumbing Westchester customers can recommend to family and friends. 24 Hour Westchester Plumbers | Schedule an Appointment Today!